Starting from May 16, 2019, the low-cost airline Buta Airways will launch direct flights to another Russian city – Astrakhan, the press service of Buta Airways told Trend Jan. 16. Astrakhan will be the fifth destination of the low-cost airline in Russia. The airline is already operating regular flights from Baku to Moscow, St. Petersburg, Kazan and Mineralnye Vody. 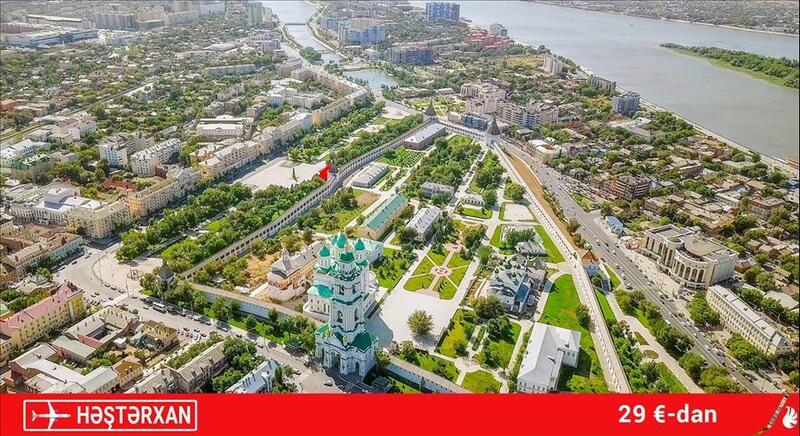 The minimum fare for Baku-Astrakhan flight (IATA:ASF) like for other destinations of the Airline, will cost 29 euros (one way). Flights will be carried out twice a week – on Mondays and Thursdays. Astrakhan attracts tourists with its location, known for fishing. In Astrakhan, river cruises along the Volga are also offered. Numerous architectural and cultural sights give travelers every reason to stay here for a few days. Buta Airways is the first low-cost airline in Azerbaijan, a structural subdivision of the CJSC Azerbaijan Airlines (AZAL). It was founded in December 2016. The first flight was carried out on September 1, 2017. The Airline's fleet consists of modern Embraer aircrafts. The Airline is based in Baku, at the Heydar Aliyev International Airport.